The Materials Research Laboratory houses faculty, postdoctoral scholars, graduate students, and support staff in support of the MRL's research mission. While the directory of MRL/MCCAM occupants is constantly changing we hope the following will help you locate the appropriate personnel. 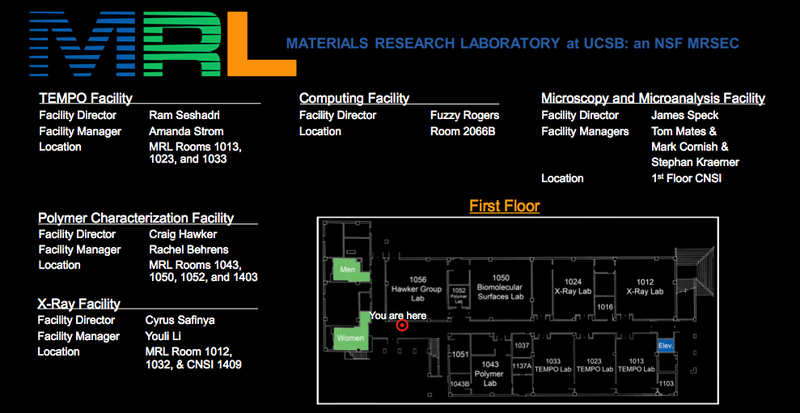 Also useful, if you are at UCSB and on the campus network, you can find folks via http://desks.mrl.ucsb.edu .